Complete this short form and we'll be in contact with you shortly. We strive to deliver the best service in the industry. Our techs will work with you, your unique situation, and meet your needs. Certain pests can be very dangerous and even deadly to humans and pets. Get more information by browsing our pest library. Our Pest Guard Program, designed by our staff and applied by our team of trained pest control technicians, effectively controls and eliminates all common household pests, no matter how severe. 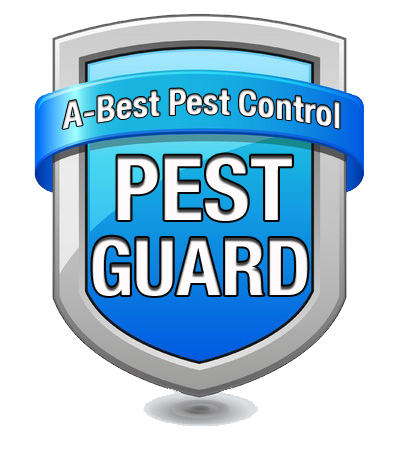 Click here for more information about our Premium Pest Guard Program and other pest treatment services. Thank you for sending service tech Sandy in response to my request for solving a bee problem. Sandy arrived with a pleasant attitude and ready to take care of my problem. She took the time to listen to me and identified an additional problem of which I was unaware. She efficiently and professionally prepared and eradicated the problems. Additionally, she walked around to see if there were other problem areas and advised about things I might want to do to the damaged areas. The bees (wasps) are gone! Don't be surprised if, when the next need arises: I request you send Sandy! Kyle was very conscientious. He did a very thorough job. You guys really know how to hire good employees! Sherrie has done an outstanding job! I hope you keep her! Tony was very professional and did a great job! Thank you!! Johnny came to our business and did a good and thorough job. He was very pleasant and knowledgable! Jeff came out and did my house and my rental property. I'm very happy with the job he did and his knowledge of pests! Tony did a great job! He was very informative and listened to everything I had to say. He came up with the solutions I needed to solve our problem. Thanks Tony! Tony did a very good job and he was very professional! Tony did a great job servicing my house and was very professional. Thanks again, Tony! I had two bee's nests and one that came in through the wall of my den... They were buzzing all over my den. Jeff was here and I wanted you to know how professional he was. He worked so hard and did everything he could possibly do. He worked the outside and inside using stuff to get rid of them. He was so nice! I wish more people were like him that do this type of work. I was really afraid of getting stung: there were so many! ... And he showed up prepared for the job. I just wanted to make sure you guys knew what a fine service technician he is and I hope you have more like him! Thank you very much!! I just loved Sandra! She was professional and knowledgable. Most of all, I felt very comfortable having her in my home. Thank so so much for sending Tony! He was so professional, helpful, and informative. Good job!! Tony provided our service and he was absolutely wonderful! He was awesome, on-time, and did a fantastic job! What an amazing job! I would provide a reference for you guys to anyone. Very impressed at the level of professionalism and service! I want to thank you for your excellent service. Our bee problem was taken care of promptly and all without me being at home. Our son's room had been overtaken by Yellow Jackets. Got him out before he got attacked but his room was filled with them. Called A-Best on a Sunday. They answered their cell at the grocery store. They were at my house within 2 hours and handled the problem that day. We were terrified. We literally could owe lives to them. I can't imagine our one-year-old under attack. I will use them in the future and would recommend them to anyone. They put my family first that day. "We would like to thank John for the all the years of great service and professionalism, and wish him all the good luck in the world in his new supervisor position with A-Best. You deserve it!" "You guys sure give great service! Sherrie is a true asset to your company. She answered all the questions I had and took the time to show me what the termite baiting stations looked like inside and how they worked. Great to know my home is protected 24/7/356 days of the year." "Sherrie just stopped by for the Spring clean up of our Sentricon system. What a nice lady and she did such a great job. Thanks for all the attention." "Follow up service is very good. Employees are polite, efficient and thorough. Thank you for your consistent service and commitment to excellence."